The Government of India, jointly with the World Bank and United Nations Development Programme (UNDP) will be hosting a Global Wildlife Programme (GWP) Conference starting 2 October 2017. The objective of hosting this programme is to address illegal wildlife trade across 19 countries of Asia and Africa. The Global Wildlife Programme will be inaugurated by India’a Environment Minister Dr. Harsh Vardhan. India is already playing a leadership role in management of wildlife through involvement of local communities. Pointing out that no programme can succeed solely based on Government policies, the Environment Minister briefed the media that people’s participation at societal level is very necessary for the success of any wildlife protection project. “Five crore people living around national parks and sanctuaries (in India) are working as partners in environment conservation”, Dr. Harsh Vardhan added. The Conference will act as a platform for knowledge exchange and coordination on the action taken on the ground to combat illegal poaching of wildlife and improve governance on wildlife conservation. The impact of such issues as global warming, climate change and disaster management on the people living around wildlife areas and on the wildlife will also be discussed. A 15-year National Wildlife Action Plan (2017-31), with special focus on people’s participation will also be launched on 2 October 2017. Coinciding with the Wildlife Week, the theme of the Global Wildlife Programme (GWP) Conference is People’s Participation in Wildlife Conservation. 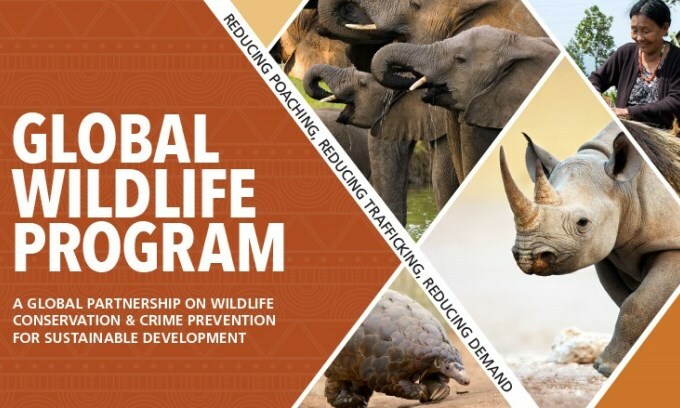 The GWP will hold discussions on management of wildlife habitat, securing sustainable community livelihood, enhancing enforcement, monitoring, cooperation to reduce wildlife crimes such as poaching and related threats. The Conference will provide an opportunity for India to showcase its conservation efforts through joint forest management, Vana Sanrakshan Samitis, eco-development committees in and around Protected Areas. The proposed outcomes of the Conference, which coincides with Gandhi Jayanti and UN International Day of Non- Violence, is also to reiterate Mahatma Gandhi’s principles, while promoting the concept of community based biodiversity and wildlife conservation. The meeting will host wildlife experts, leading practitioners across 19 GWP countries, government representatives from India’s forestry and conservation sectors, leading corporate associated with environmental and biodiversity conservation, civil society organisations and school and college students.